Finding a good dog bed is no easy task. Dogs, just like their owners, have different needs when it comes to a comfortable place to catch their zzz’s.The most obvious consideration is the right size, but you also should factor in their personality, agility, health issues and available space in your house. 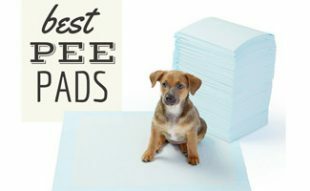 We’ve narrowed down the options into different categories to make it easier for you to find just what you’re looking for, and we give you some of our best dog bed recommendations based on our dog bed reviews research. Why Invest In A Dog Bed? Even dog owners need their space. If your bed is your alone (or couple) time, it’s important to invest in a dog bed so your pup doesn’t get too cozy and accustomed to sharing yours every night. In fact, a Mayo Clinic sleep study found that a large number of pet owners who suffer from sleep problems have their pets sleep in their bed every night. Here we review the best dog bed types based on a variety of factors: breed, coat type and temperature sensitivity. If you own a smaller or medium-sized breed, you have a wide variety of dog bed selections since they are more compact. Be sure to keep the bed in proportion with your dog’s size. Buying a bed that’s too large for your dog can leave him or her feeling insecure, so look for a bed that’s just large enough for your dog to stretch out on. Smaller dogs are also much more likely to get chilly, so it’s important to find a bed that keeps drafts to a minimum. Nest dog beds are a popular choice for small and medium-sized breeds. Typically they’re round or oval with lots of cushioning and raised sides to help your small pup can feel contained and comfortable. Pay attention to the quality of the filling material to ensure protection from hard surfaces. Our choice is the Big Shrimpy Nest Bed. It’s harder to find more of a variety and better quality dog beds for larger breeds than for smaller dogs. Most of the good ones are thick and made of memory foam to give your dog plenty of cushioning against the hard floor. Extremely large dogs can cause the foam to flatten out over time, so you may need to buy a replacement at some point. Or consider choosing a crib mattress with spring coils to provide greater support over a longer period of time. Is your dog always shivering? A concern for owners of hairless dogs or smaller breeds is their dog’s desire to stay warm. Simple padded beds just don’t cut it. Consider a bed that allows for burrowing like the Cozy Cave, which gets excellent customer reviews. Nesting beds and slumber beds are also a good option for these dogs because dogs can sink in to the softer filling material of the bed. Some dogs love the feeling of “burying” themselves and feel more secure in these beds. Thick haired or long-haired dogs have an unfortunate tendency to overheat, and beds that emphasize “snuggling” only add to the amount of heat trapped by your dog while they are sleeping. If your dog tends to overheat while they sleep, the best bed choice for you would be a cot style bed. A cot bed usually features a mesh material for the dog to lay on in addition to legs that elevate the bed off the ground. These two features allow for plenty of air circulation around your dog as they sleep. These beds are also great for older dogs with incontinence issues because of the ease of cleaning. We recommend the Coolaroo for its excellent durability and excellent customer reviews. And it also makes a great outdoor dog bed! Depending upon the individual needs of your dog, you may be looking for a bed that meets certain criteria rather than a bed that falls in to a specific category. Below we will take a look at beds that suit various situations. If you have an especially smelly dog or just hate dog odor in your house, a cedar filled bed could be just what you need. These beds are particularly odorous and can significantly cut down the dog odor in your house — and your dog’s own body odor, particularly for pups with the instinct to disguise their scent. These dogs will often roll around on their beds so they smell like cedar. Cedar filled beds aren’t as comfortable as cotton filled beds and don’t offer as much padding, and certain dog allergies don’t gel well with cedar filled beds. Otherwise, they’re a great way to keep your home odor free. Recycled Materials: With increasing levels of eco-awareness some dog owners are interested in purchasing only eco-friendly products. There are a number of dog beds available that are made from recyclable materials. For instance, the P.L.A.Y. Pet Lifestyle bed is manufactured from recycled plastic bottles. These bed options are often more expensive than other options; however, they are usually built for durability and contribute towards an eco-friendly lifestyle. For some anxious dogs, burrowing beds like the Cozy Cave (see above) are an excellent option. However, other dogs that suffer with anxiety may be afraid of the darkness or the concept of being hidden or covered. Another good option for anxious dogs is a nest bed or bolster dog bed that features raised sides without the covering over the top. Bolster beds are generally more expensive than simple padded beds, because most are better made and filled with more durable stuffing. Bolster beds also tend to be bulkier than other types of dog beds, so you need to make sure you have the space at home. We think your dog will love the additional support and feeling of having their own “couch”. Elderly dogs and dogs that have arthritis and other joint concerns need beds that are supportive. This means that their beds should be thick and provide plenty of push back rather than simply sinking or relocating filling when the dog lies on the bed. The most popular choice is the orthopedic memory foam bed, which conforms to your dog’s shape but provides support for aching joints. If your dog is elderly and more prone to bladder leakage, look for a waterproof orthopedic bed or a waterproof cover. Memory foam holds in odor, so keep this in mind when searching for an orthopedic bed for your elderly pup. Finding beds for allergy prone dogs can be tricky, and the answer will depend upon what your dog is allergic to. It is always best to avoid beds that contain fillers like cedar, since they can cause skin irritation. A good alternative is a hypoallergenic dog bed cover, like Teton Dog’s DIY Cover. The cover itself is made of 100% waterproof Nanopore fabric (no chemical waterproofing) and is a barrier against dirt, dust, mites and fleas. And there’s no toxic, allergenic or cedar filling — you stuff the cover with whatever works best for your dog. If you’re striving for space in your home, chances are you have a small to medium-sized dog and need a compact dog bed. Corner beds are a great option to save space because they fit where most furniture items don’t, making use of unused space. Another option for smaller dogs is a dog bed that also serves as a crate and end table with a removable door. We’re sure a lot of you dog owners out there will appreciate the following video of dogs refusing to get out of your bed (just like their humans sometimes). There are plenty of options to choose from when it comes to picking the best dog bed for your pup. Whether you compare dog beds you can go for comfort and expense, comfort and affordability, or have special needs (like arthritis or orthopedic), there are so many varieties of dog beds on the market — the good news is you have options to ensure that your dog is happy and your wallet isn’t completely empty. What kind of dog bed have you found to best satisfy your dog’s needs? It’s good to know that for large dogs, you should find a bed that is thick and made of memory foam. I think that would help them with support. It’s good to know that big dogs might wear out a dog bed quicker too, like you said. This is an excellent source of info for pet owners. It’s a great article. People with big dogs will really love this. It’s very detailed. People can find different dog beds in the market right now. It’s very best to buy those not very expensive dog beds. Thanks for this one. It’s definitely nice to use inexpensive dog beds for your dogs. There are a wide range of types of dog beds to choose from. If you can’t decide by yourself on these options of dog beds, you can ask someone that knows that very well. choosing a dog bed without thinking most about what is inside is a disservice to your best friend. Memory foam flattens out to almost no cushioning in short order and is hot to sleep on, but more important it is a toxic cesspool that your pooch is spending a lot of time on. The foam gases off for a very long time, then starts to break down releasing a whole new bunch of yuck. People get serious health problems from this stuff. Cedar also is oversold–cedar wood secretes a toxin that can be a health hazard to humans–many people who bought cedar homes found this out the hard way. Stay away from polyurethane foam and cedar if you love your dog. And when you get fiberfill, ask where it originates. I bought a home depot special that has a brown fairly like filling–I really don’t know what on earth it is. Have never seen brown polyester. I really appreciate all that information but do you not have any suggestions on what *is* a good bed? I tried cutting corners & paid $120 for a bed online. It had great reviews, but I guess I got the 1 that was coming apart from the glued on headrest. Sent it back & purchased THE BIG BARKER. Yes, they are pricy. I was able to buy The Big Barker on sale, it has a 10 YEAR WARRANTY , MADE IN AMERICA, WITH AMERICAN PRODUCTS & I paid only $60 more. I should have listened to my instincts to begin with. BEWARE OF SO CALLED MEMORY FOAM….There are all types of beds that are using the terminology orthopedic & memory foam interchangeably. Not telling you what to buy, just read how the Big Barker is made & what it is made with. Then, go to other sites to compare…I will tell you now, I researched for over a month & still went wrong…Try using my mistake to start your search & your journey should be much easier. I really liked how you have picked different dog beds depending on the needs of one’s particular dog – that’s very helpful. Check out beds4fido on Facebook I had a senior bed made for my old dog…best investment I ever made. Just thought I’d share my experience with my medium-sized (~45lb) dog’s preferences for dog beds. My dog was raised with a large sized bean-filled round “dog nest” that I purchased from Orvis. I had actually purchased an XL (48”) and a L (41”) bean filled dog nest for my kids to lounge in/on while in the family room. Add a blanket/throw to the mix, and they were off into zzzzzzzzz-land. Once the kids flew the coop, the large sized dog nest became available to our new pup (the XL one is still reserved for grown kids when they come visit). My pup loves this thing. It is so amusing to watch (and hear) her rearranging it and positioning herself in it. The bean fill allows her to dig the middle beans to the periphery of the round bed so her head is raised. She even moves it to different places. She views this as her bed for night time and for naps during the day. She uses the dog nest when its cold (62 degrees) and hot (90 degrees). beans in the old liner of the bean-filled Orvis dog nest. The beans that you buy online or at Kmart don’t hold up as well (they squish down to half their volume after a couple of months) as the ones that come with the dog bed liner (the Orvis inner liner beans have a much smaller diameter and are probably manufactured with different percentages of materials). In terms of cost, buying the Orvis inner lining with beans will last you longer and save $ in the long run. We also have a rectangular 26”x40” memory foam dog pad that I purchased on sale at Marshalls for $15 that we have in the kitchen. She relaxes/sleeps on that when we are in the kitchen. She also moves that one – unfortunately sometimes under our feet when we’re preparing dinner. I also purchased other dog beds – with poly fill around the same size and shape as the large round and rectangular beds, and she wouldn’t go near them. I’ve heard that some dogs steer away from the bean-filled beds; perhaps because it’s so malleable. Maybe it’s what they’ve been trained to be accustomed to when they’re young. If you let them on your bed or couch, well… they may not want to be anywhere else. Personally, I don’t want to share my bed or couch with my dog – one reason, in addition to separating my space from hers, is that I’m not happy about potentially acquiring the ticks and poison ivy oils that she may bring in from the outside. My cockerpoo has just decided she doesn’t like her bed. I have washed it but she still sniffs it and is very reluctant to go anywhere near it. I have a German Sheperd, she just turned 3 years in October. I also have a Shih Tzu which is 4 years old. Both have their own beds. My German Sheperd would rather sleep in the small bed then her owns. Even if her legs hang out or her feet. She curls up into a ball so she can try to fit in. Is there any reason why she does this? There are many reasons why she may like the smaller bed. She may like to be more cuddled up and cozy when she sleeps. She may like the feeling of that bed more. Or it could be some other reason. Thank you! This was so helpful! It was exactly what I was looking for all in one place! I have a great pyrenees mixed with an anatolian shepherd. He is bout 9 months old and an outside dog. I was curious as to what type of bed should I get for him during the cold months? Hi Lisa, if you’re worried about him staying warm you can get him the bed listed under the Heated and Cooled section. Depending on how cold it gets where you live and if there’s any snowfall will determine what else you’ll want for your dog’s bed. I’ve a bolster bed for my senior dog but I took out the polyester filing in the bottom because it became lumpy. I bought an organic rubber filled bed for him but it didn’t come with bolster on the sides and he loves the bolster so I just stack the old and new one together to get the best of both worlds and added memory foam for maximum support! . Hello, My name is maddy. I love dogs. Something that I have done before is buy dog beds online, hoping that my dog would like it. Thankfully, he isn't too picky so it was never a problem, but I can imagine how hard it would be to find the right dog bed for a picky dog! A nice do it yourself project might be to make your own bed for your little friend. Not only will this be cheap and fun, but your dog will really appreciate having something that you took the time to create for them with your own hands. The best way to begin is to start off with some measurements. You need to know the length of your dog from head to tail when they are completely stretched out and their width at the widest point while curled up. Now, add 2 inches to both the length and the width for good measure. These are the minimum dimensions for a rectangular dog bed. If you are thinking about a circular type of bed, then use the stretched out length as the diameter and maybe even add a few inches just to be on the safe side. Next consider the type of material. 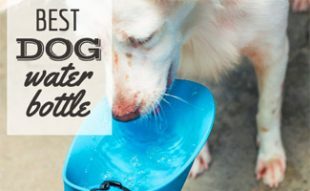 Maybe your dog prefers slightly harder or sturdier surfaces. In that case, a raised bed or maybe even something made from wood might be appropriate. Many dogs would be happy with a cushion or something that once belonged to you. Building a dog bed out of cedar is probably one of the easiest and most basic dog beds you will ever find. You will need some zippered pillow covers and cedar shavings. Look through the cedar shavings and remove all of the big pieces. Now, put the remaining shavings into the zippered pillow cases evenly. Take some other pillow cases or covers and put them over the zippered cases. Now you can arrange these makeshift dog beds in whatever way you wish. They could be placed in a large box, or even inside a cedar chest, or on a raised platform. The possibilities are really endless. The beautiful thing about this bed is that it is actually very helpful in keeping fleas at bay. It is also fairly easy to maintain. Wash the outer cover about once a week and replace the cedar shavings every so often as well. Of course, with this bed you must like the smell of cedar! Dogs seem to really love this type of bed. Another great idea is to make an orthopedic dog bed. In this case, you would have a dog in mind that has been having issues with their bones, joints, hips or maybe has begun developing arthritis. With an orthopedic dog bed, you want to make sure that the foam used is at least 7 inches thick. A simple way to do this is to take an old cushion. This could be something from a chair or couch. Maybe you might even want to take two and put them together? The foam should be covered with some type of soft material or fabric. An old quilt or a sleeping bag works great for this. Sew the material over and around the foam. You could even take some more foam with material sewn over it and use this as a backstop to give the cushion or bed some sides. It does not have to be very elaborate. Finally, consider adding some pockets in the sides of the dog bed. This way, your little one can use that for their toys and other hidden treasures. 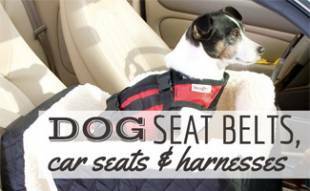 Your dog will finally be able to relax their aching bones and joints in comfort. They may end up spending even more time in bed! Were you aware that there are a pretty huge variety of beds available for your dog? In fact, you may be surprised to realize that your dog probably has many more choices than you as to what type of bed or place they can sleep in! I know that this surprised me when I recently started doing some research about this very topic. Consider the popular Bolster Bed. These are essentially padded dog beds with a slightly elevated bolster in the back which allows your dog to rest with their head in an elevated position. This position seems to be preferred by many different types of dogs. However, these beds are also very bulky, requiring a lot of space and can be significantly more expensive than other types. There are even a number of different kinds of orthopedic beds for your dog. These would be especially beneficial if your pet has or is having trouble with some of their joints, or maybe is a little older and has arthritis or some hip issues. It can really be quite comfortable for these animals, and may even help to extend their lives. If my dog could read, I would happily let him see this article. For now, he thinks that his bed is mine or the couch. It's alright for now because he is not full size yet, but in another couple of months, I am going to be getting kicked out of my own bed. I didn't know about some of the types of dog beds they had, but I think it is really cool that there is so much out there for them. I once had a dog who had skin issues and had I known they had cooling beds, I would have gotten her one of them. I am quite certain that would have made her more comfortable. I have not bought my dog a bed yet, but I am enjoying the experience of shopping around for one. As much as I joke about him taking over the bed or couch, I don't want him to sleep on the floor either. He is silly, loyal, and gentle. I think he deserves a comfy place to lay his head at night and I am willing to make sure he gets one. I wonder how many dog owners have actually purchased such a bed. I wonder how many dogs actually got a bed and at first glance wondered what the heck it was or what they were supposed to do with it! Then again, I see these all over many of the better pet stores, so I suppose that both dogs and owners are finding them useful. The author provides some good descriptions of various types of dog beds. The first of these are cedar filled beds. Since I personally enjoy the smell of cedar, I could definitely see having one of these in my home. I like the fact that it will prevent the bed from becoming filled with dog odors. There are even a number of orthopedic beds available for dogs. These are the most beneficial for older dogs and animals that have problems with their hips and joints. Another thing to consider is the fact that when such a dog sleeps on the floor, the cold can react with their bones and joints and cause even more problems. The purpose of these beds is to provide additional padding, support and comfort. There are a wide range of types of dog beds to choose from. There are, in fact, so many that this is no longer just a matter of going down to the store and simply picking one that you like. You may need to consider the type of dog you have, the amount of available space for such a bed, any health concerns your little one may have and finally, whether or not you think they will like it and use the thing at all! A cedar filled dog bed may be a good choice for those concerned about the bed becoming odor filled and all the problems this may bring on. Of course, if this type is chosen, be prepared to smell cedar everywhere, which can be quite strong. Simple padded beds are just very basic options. These come in a variety of designs are basically just an extended pillow with additional padding. They are usually quite affordable and do not take up much space. In some case a nice dog cot may work. 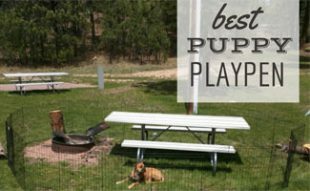 These are usually raised off the ground, which your dog might really enjoy. For some reason, I started cracking up when I saw this title. The first thing I thought was how funny it is that we think the house is ours and that the furniture belongs to us when we are the ones who are constantly cleaning up after the dogs like we are their devoted servants or something. Just think about it. We pick up their bodily waste. We walk them. We pay the bills while they lay around licking themselves. And yet we still think we are the masters of the house? In my home, I pay the bills, but my dog is kind of the boss. After all, I make sure I am here for him so he is not stuck in the house all day and I would never do anything like chain him up in the backyard. So, would I get my dog a bed or any other kind of furniture I thought was cool for him? Of course I would, if only to maintain the illusion that I am somehow the boss of the house and not just the finance manager. But in all seriousness, I love my dog and I will happily get him a bed that suits him. I seriously need to get my dog a dog bed or make him one or something. At this point I would do just about anything to keep him from sleeping in my bed. Don't get me wrong. I love my dog. He is sweet, protective, silly, and all the things I want in a dog, except for the fact that he snores and he hogs the bed. I am a single mom. I just got my son out of the habit of waking up in the middle of the night and crawling into my bed. It's not that I don't love my son either. He rocks. But somehow, his less than four foot frame managed to occupy an entire king size bed. I was so happy when he quit waking up in the middle of the night. I finally had my bed all to myself. But then we got the puppy. It was kind of cute at first. When my son went to his dad's, the pup would miss him and would whine to get in my bed. And stupidly, I let him. So yes, it's time for a dog bed. It has to be a nice one too because I want him to be comfy and I want him to still feel loved. I just also want a solid night's sleep. Sure, first they want a dog bed. Or maybe you want them to have a dog bed so they will get off the couch or your bed. But soon, they look so cute that yayou actually give their bed a theme. Then you see a few knick knacks that would match the bed and the dog. Soon, you're finding yourself getting ready to add on to the house. Sure, you need a spare room with a window seat, but why did you wall paper it with chew toy stencils and hang a tennis ball for the pull cord of the ceiling fan? Okay, I was kidding. But seriously, that would be kind of cool! I was thinking that because I was just shopping for dog beds and I found myself thinking of college teams or some cartoon character. And I had just seen an article on dog houses that was really cool, so I started brainstorming about a house for our dog. One thing just led to another. And now, I find myself looking up dog beds and thinking about a blanket for him. If you would have told me 10 years ago that I would be looking for online dog bed stores today, I would have thought you were crazy! If you have a puppy, you should definitely try to find an inexpensive doggy bed to buy! Puppies can be a handful in many ways, so a basic padded bed, like the article advises, can be super useful! For one thing, puppies can have accidents and may end up ruining the bed that you start off using. Of course, dogs hate to have any of their own waste where they sleep (out of both cleanliness and a desire for protection, as the cedar bed section mentioned), but with young puppies accidents happen. 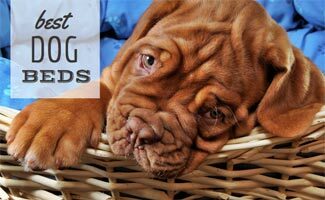 Puppies can also go through destructive phases and may rip a bed or two on their way to adulthood, so sticking with an inexpensive bed can be the best bet for everyone. Also, crate training is an excellent way to eventually house-train your puppy, but not every crate is made equal. Simple padded beds come in enough shapes to accommodate a wide range of crates. That way, you don't have to worry about your crate and bed not fitting each other, something that may slip your mind when shopping for your first doggy bed. If you cannot make up your mind amidst all these options for dog beds, try consulting with your vet. Actually, getting a vet's opinion on a doggy bed is probably a great idea anyway. As you may know, dogs are very sensitive to their environment. If your dog is neurotic and has obedience problems, changing its bed may help solve the problem. A corner bed, for example, can help if your dog likes to drag its bed everywhere but you want it in one place. A cave or nest bed may help give your dog an extra boost of security that could make it much happier. Heated or cooled beds can be life-savers if your dog does not match your climate, or if your dog is aging but still likes to sleep in the same place it did when it was a puppy. Always match your dog and your dog's temperament, along with its stage in life and health, with the right kind of bed. Other owners of your breed can provide useful insight, too. Personally I have found the slumber dog bed option to be a good general approach if you just don't know.